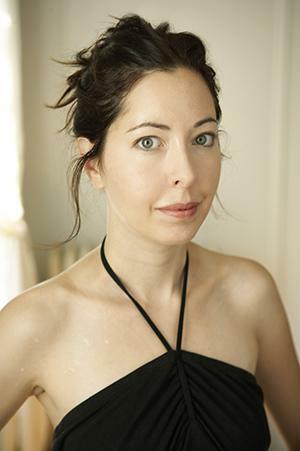 Ongoingness by Sarah Manguso, reviewed. Sarah Manguso’s diary of a diary sheds new light on the many the perils of writing about yourself. Many writers have published their diaries. Far fewer have published diaries about their diaries, as Sarah Manguso has done with her new book, Ongoingness: The End of a Diary. A poet turned memoirist, Manguso has spent 25 years compulsively creating a life record of 800,000 words and counting. Her 2008 memoir, Two Kinds of Decay, was about her struggles with an autoimmune disease but really about how we write about disease. Her 2012 book The Guardians was about grieving the suicide of her friend but really about how we write about grief. Her work is characterized by a tough, lyrical self-scrutiny: an eye trying, at times exhaustingly, to look at itself. And now in Ongoingness, a meditation on diary keeping, she has turned her interest in writing about writing inside out. Manguso calls her diary “the only thing I ever wrote that wasn’t for an audience,” but at least in part, it is certainly for an audience now. Her diary has intense personal importance: In the afterword—notes about notes about notes!—she calls it “the writing that stands in for my entire self.” And although the book is subtitled The End of a Diary, Manguso’s “graphomania” continues apace. She’s so helplessly compelled to self-document that even the prospect of not writing releases a floodgate of words. As someone who edits and writes on the Internet for a living, I can sympathize both with the fervent diary keeping and with the diarist’s desire to stop. I find the idea of writing 800,000 words about myself ridiculous, and then I remember that I recently blogged 3,000 first-person words about getting an IUD. The quotidian zoom lens of the diary is the same that marks many of the essays that fill my inbox every day. It can feel tiresome, self-obsessed. Gradually I’ve come to mistrust the isolated daily experience as a source of profound insight: How much meaning can be wrung out of an afternoon? Not a lot, usually. But the potential for performance is always there. And this tension between performance and real reflection is what drives, and drags down, Manguso’s book. Ongoingness is about as analog as it gets—a slim volume of windy musings on memory and time, pegged to nothing outside of Manguso’s own head. But, now that writing about yourself is a common activity for both writers and well-adjusted people alike, the question of how to do so with sufficient self-awareness has become a constant hum. Ongoingness feels both quaintly distant from the Internet and like a creature of it: It lands at a moment when public self-documentation is a national pastime, while the instincts behind it—self-indulgence and self-exposure—have become a great source of collective anxiety and shame. I didn’t want to lose anything. That was my main problem. I couldn’t face the end of a day without a record of everything that had ever happened. Nor, apparently, could she face her record without recording thoughts about her record keeping. This is clearly a common anxiety: If you search Twitter for “my twitter is” you can watch this instinct play out in real time: “my twitter is boring,” “my twitter is why no one likes me,” “my twitter is gonna get so boring if I ever fall in love.” But in Manguso’s case, the diary itself never appears. Instead, she writes around it. “Imagine [the diary] as dark matter or as one of the sixty-seven confirmed moons of Jupiter or whatever real thing you nonetheless must take on faith,” she tells us, at the end of the afterword. Dark matter! A moon of Jupiter! It’s all lovely sounding, though the more precise analogy may be a musical one: Manguso’s absent diary is the sad song that the artist writes another song about, crooning at the audience about how she doesn’t want to sing sad songs anymore. And so of course a book written to explain the problem of self-documentation becomes a document of the problem itself. In the context of Ongoingness, this feels like a welcome, if very drawn-out, conclusion. In the context of Manguso’s other work, it seems somewhat strange. The fretted-over invisible diary contains events chronicled in her two previous books—which is to say, plenty of material worth fretting about, like life-threatening neurodegenerative disease and the suicide of a friend who was like a brother. Having Ongoingness hover right over such topics as death and traumatic illness, yet rarely mention those things: It is a maddening act of compartmentalization. (But so are diaries.) If a hallmark of personal writing on the Internet is that it can feel emotionally graphic—so tackily overexposed that it has a numbing effect—Manguso’s writing numbs for different reasons. She is trying so hard to skirt her feelings that she ends up saying nothing much at all. 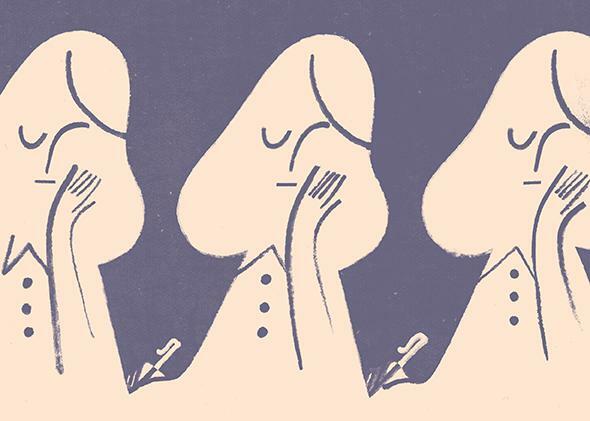 “Self-indulgent” can mean many different things in writing that centers on the self. It’s either a flaw or a lifeline, depending on who’s tapping the keys. And Manguso shows flashes of attentive brilliance. But on the whole Ongoingness, being, after all, a diary about a diary, feels like a new kind of self-indulgent altogether: a hall of mirrors with capacity for one. Manguso imagines at one point that “all anxiety might derive from a fixation on moments—an inability to accept life as ongoing.” It might also derive from a basic unwillingness to accept that freeform thoughts are not all equally interesting, no matter how elegant and raw. The relentless self-questioning in Ongoingness feels mainly performative, which could be the point: This, in the end, is the peril of writing about yourself for public consumption. Manguso interrogates herself as a rhetorical flourish. What if all the days a person saw die with them? She worries. What if we forget too much, remember too little, or vice versa, with all the wrong things? These questions are noble enough, but they’re not what ifs, they’re if thens. If you accepted that all of those things were true, would it change the way you lived? Would you go on to write a diary, and then a diary about that diary? Deep within Ongoingness is the certainty that nothing about the world is understandable, and thus worth understanding, except for the self. It’s a familiar enough instinct these days, though I’m not sure how far it ever leads. Ongoingness: The End of a Diary by Sarah Manguso. Graywolf Press.